The Limelight makes the most of every season in Aspen; a rooftop to kick back on in the summer, crackling fireplaces to warm you in the winter and an outdoor hot tub that’s perfect to relax in all year-round. 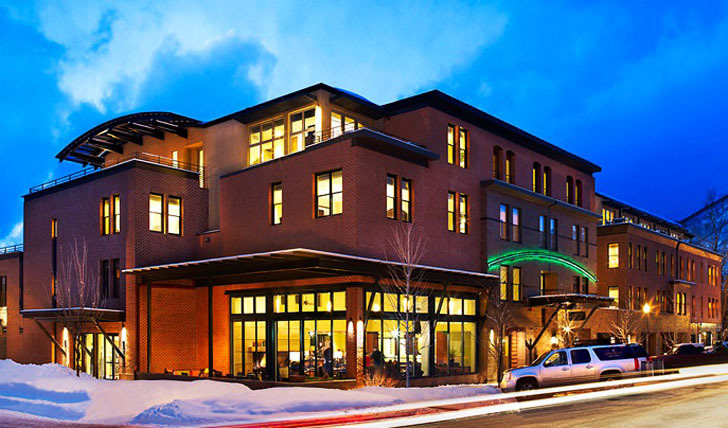 On Monarch Street, just one block from the centre of Aspen in the downtown area, The Limelight has the luxury of being close to all the amenities on offer whilst being far enough away from the hustle and bustle, boasting outstanding views of the neighbouring mountains. The rooms here are airy but rich in their granite finishes and mahogany coloured furniture with contemporary decor. In every room there’s Wi-Fi, flat screen televisions, iPod docking stations and even your own umbrella. 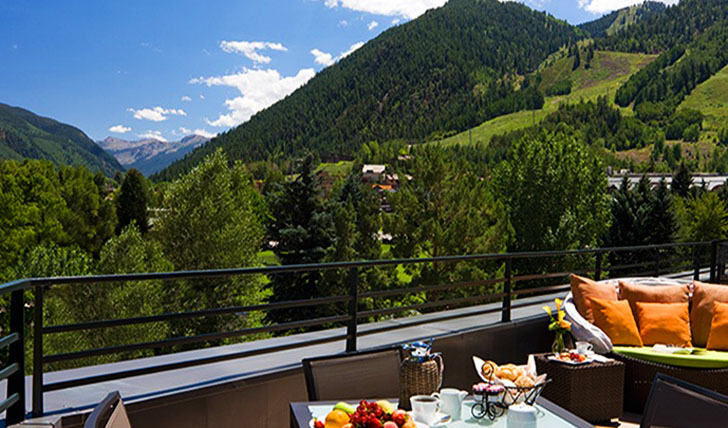 Grab a room with a balcony for stunning Aspen views of mountains covered with either snow in winter or lush green forests in the spring and summertime. Capture a picture of yourself on an outdoor adventure with the Limelight logo (be that your Do Not Disturb sign, their brochure or a Limelight item of clothing) and they’ll buy you a free pizza and glass of wine or beer during your stay. If that’s not enough, you’ll find chocolate chip cookies on offer fresh out the oven every day from 3pm. Talk about homely hospitality.